This month I am in charge of selecting all the challenges. 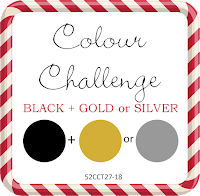 For the colour challenge, I have chosen Black and either Gold or Silver! I made a simple card using die-cuts and dry embossing. I started with die-cutting out the Christmas tree. This die is by Creative Expressions Festive Collection – Christmas Tree Greetings Die Set by Sue Wilson CED3017. I cut it out from gold foil paper. Next, I die cut an oval from the leftover foiled paper and put that through my Big Shot using a Tim Holtz Snowflake texture fade embossing folder. Using the same embossing folder, I debossed the front of my card. The final set was to glue everything together. The CHNCCC is to make a card using some ribbon or twine. 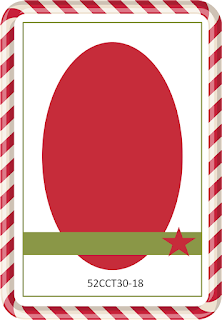 I made a card using the Christmas Tree Greeting die by Creative Expressions. I die-cut it from black cardstock, glued it on an oval die-cut from gold fold cardstock, then pasted it on my dry embossed (folder by Tim Holtz) black cardstock and finally on my card front. Of course, I added a ribbon and bow to complete the theme!